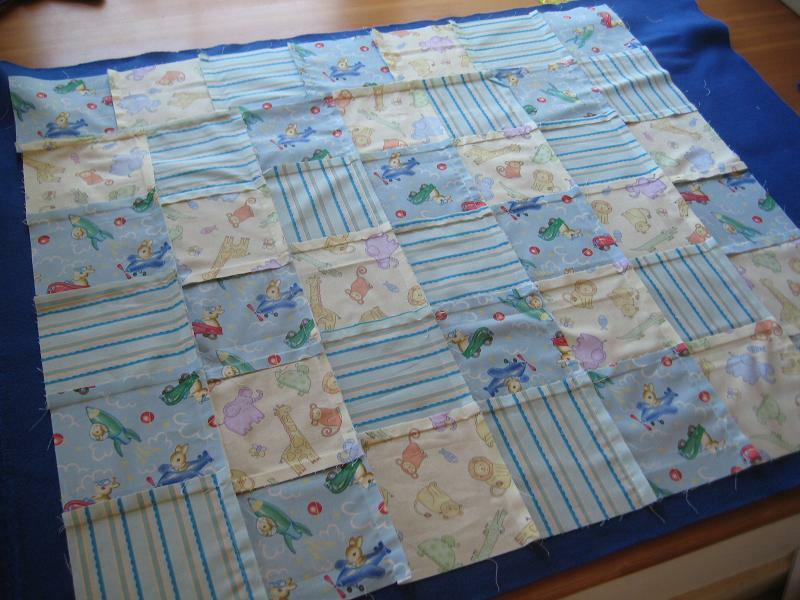 Finished baby quilt measures 33”x38”. Step 1 – From each of your 3 different fabric prints, cut 14 6.5” squares for a total of 42 squares. 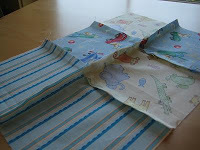 For quicker cutting, layer and fold your fabrics to cut multiple layers at once. Step 2 –Arrange the squares in 6 rows of 7 squares each. 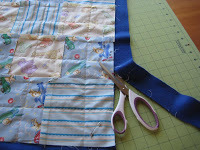 In each row, sew the squares together: with wrong sides of fabric facing together, sew a ½” seam allowance. 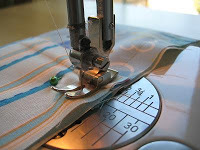 Start and end each stitch with a back-stitch. Step 3 – After you’ve sewn the squares together in all 6 rows, sew the rows together: with wrong sides of fabric facing together, align the corners and pin to keep in place. 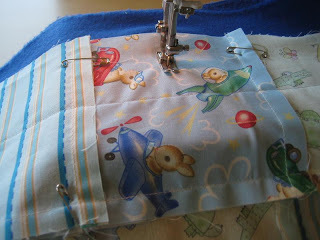 Then sew a ½” seam allowance. 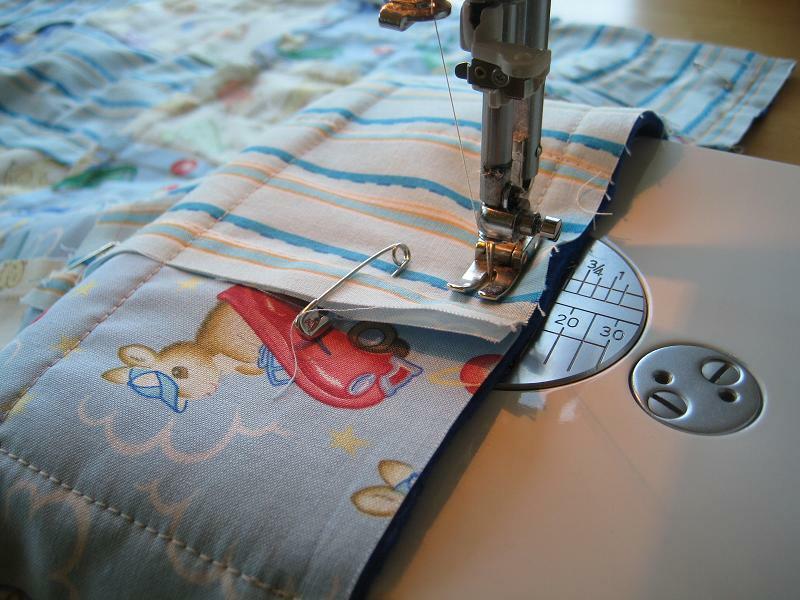 Start and end each stitch with a back-stitch. 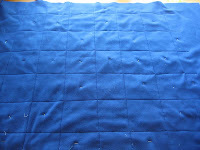 Step 5 – Now that your quilt top and fleece backing are basted together, you can start quilting! When quilting, always start from the middle of the quilt going outward. 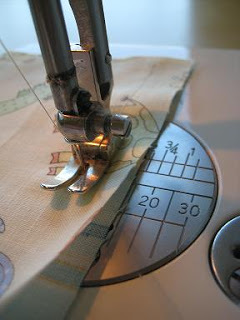 Start and end each stitch with a back-stitch. 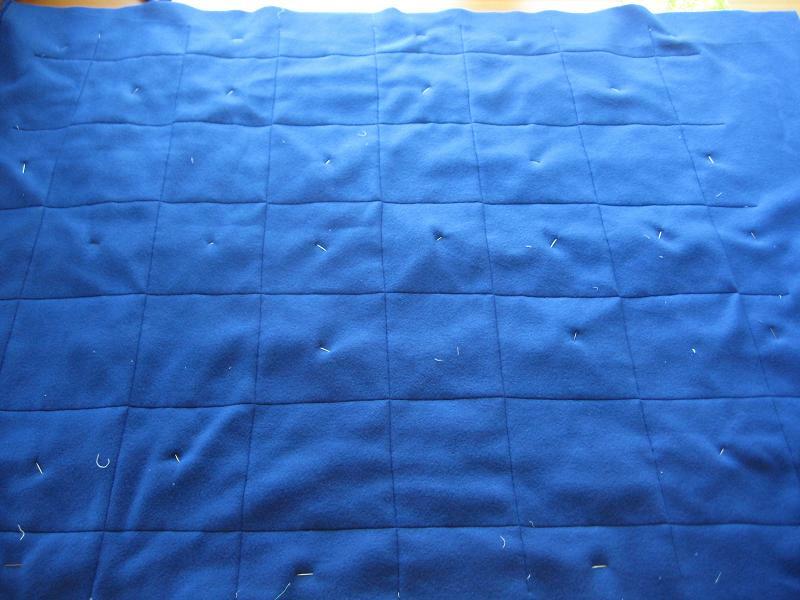 Step 6 – Trim the excess fleece backing around the perimeter of the quilt top. 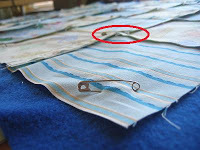 Then sew a ½” seam allowance around the perimeter of the quilt. Step 7 – You’re just about finished! Lastly, using sharp fabric scissors (I used appliqué scissors), cut little frays (roughly ¼” apart) within all of the ½” seams. Do not cut outside of the seam. 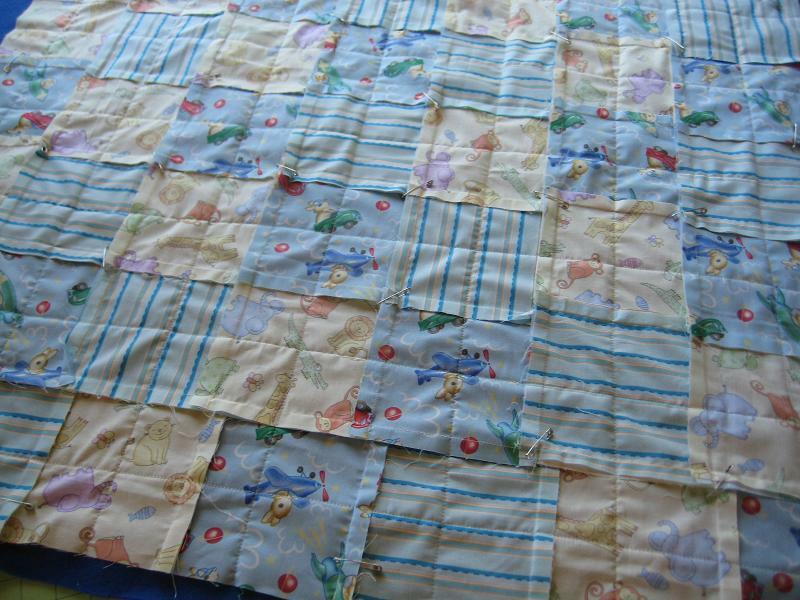 I have been wanting to do one of these "raggety" type quilts and love the fleece backing on this one. Thank you for the tutorial! Okay…off to the store I go!! I made one of these quilts after I saw your tutorial and I love how it turned out! 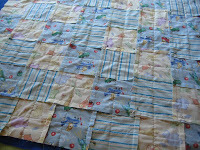 I love the rag quilt look, but I don't care for how heavy rag quilts usually are — all those layers make them so thick and stiff. 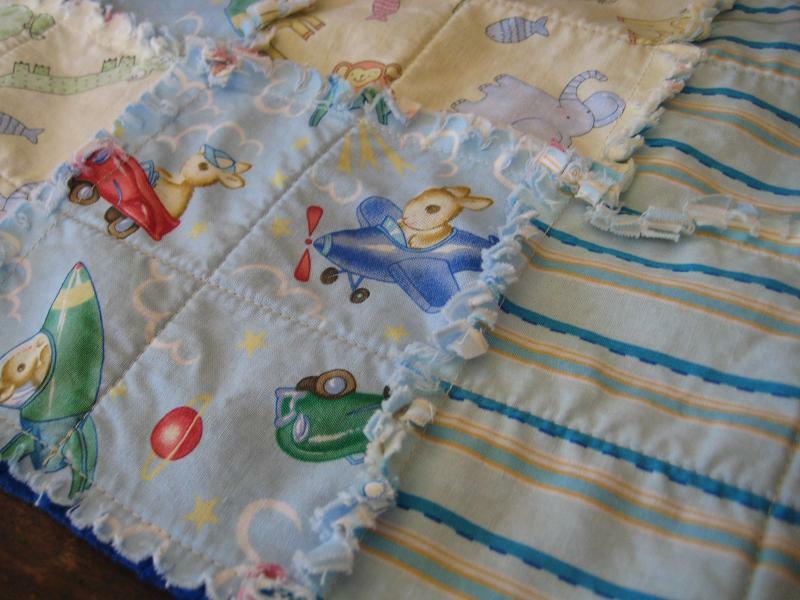 This quilt is thinner (much more user friendly, especially for little ones), but with the fleece on the back it is still plenty warm and cozy! I enjoyed the process of making this quilt. Thank you so much for the idea! Thank you! This is adorable. 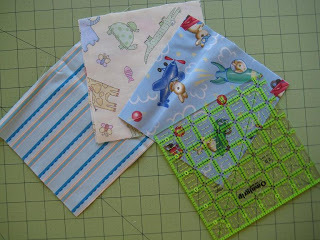 Will be a great donation quilt for our quilt guild support of Project Linus. I love this quilt, you have the best tutorials! 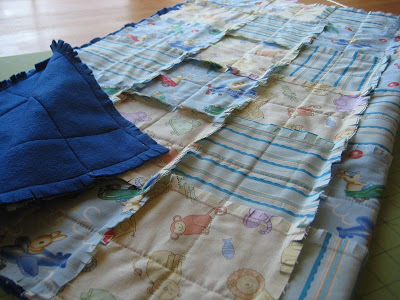 This looks like the perfect kids quilt, as it will need to be washed often. I had a thought when you did the step where you trimmed the fleece edge…you could have folded it back over the edge & sewed flat as a binding. Just as an alternative edge. Thanks for the tut! Thank you for the info. I have kept clothing from my Granddaughter. I am making a rag quilt out of her clothes with solid colors in between. I found a light weight backing for it. Since we live in south Florida not much need for a heavy qult. My Grandson got a quilt made from his and his Granddaddy's jeans. 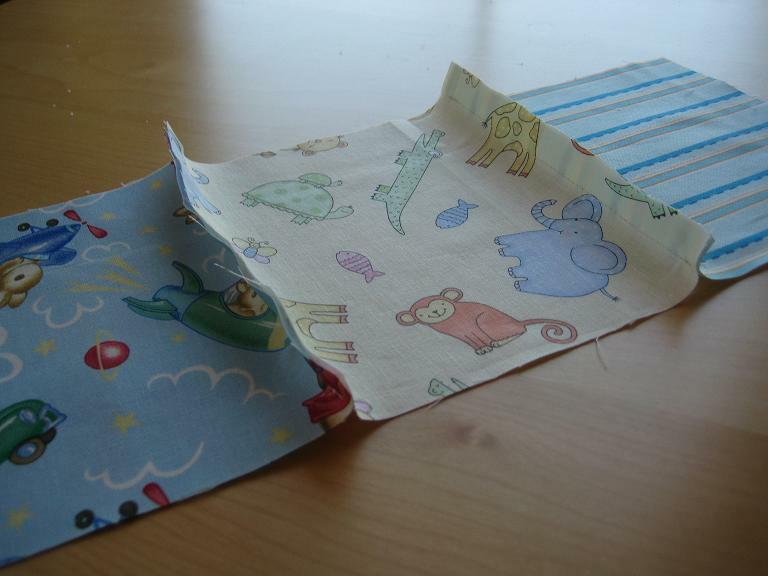 I used the back pockets from 4 of the jeans, now he has a place to hid his most important cars and trucks. I am a new quilter but the rag quilt will be my new gift for all new babies gifts. 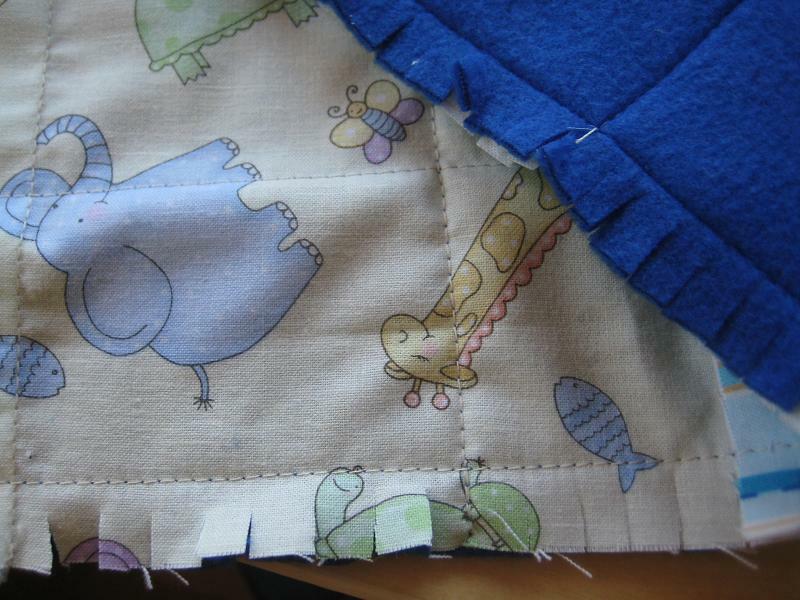 Just making my first quilt, a "whatever" rag quilt for my daughter (now 34). It is made from her t-shirts from school, university, sports on one side and the other, the "whatever" side is from t-shirts she has had for years. I even have some from her baby days. I still don't know if I will bind it as it is a king size quilt! It grew after she married last summer. Thanks for the tutorial. I will use it for baby quilts when my children have babies!